Day one of Wirksworth Festival and true to form it was a cold, wet day. The day started with a footplate experience on the incline followed by the first Duffield service hauled by 33103 which developed an oil leak problem and was replaced for the later services by 31601. The 12:15 service carried a large coach party from Cheshire who enjoyed a trip from Wirksworth to Duffield. 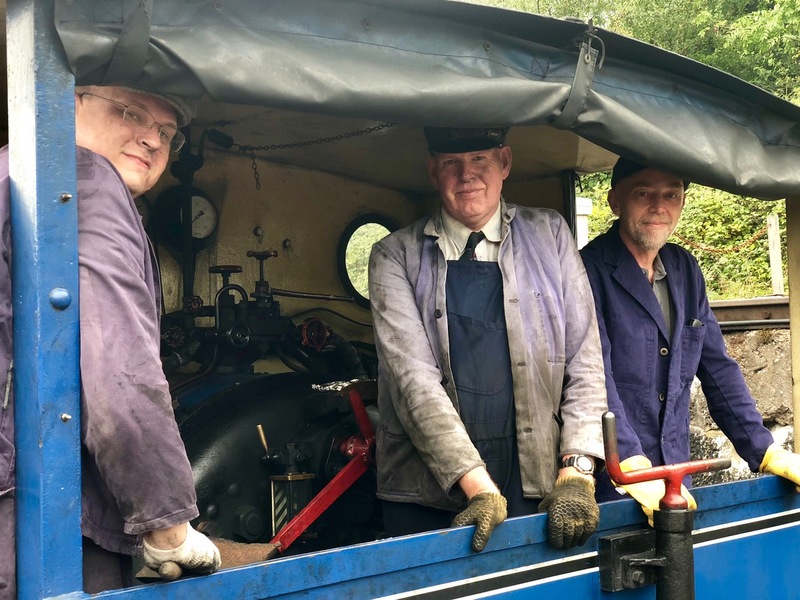 The train was then joined by a party of ex RAF service men and women for a ploughman's lunch as part of a regular re-union. Down the yard at Wirksworth the LMSCA held an emergency meeting in the training room and work continued on 68012 the 'Duke'. This evening a loco-hauled 'Cider with Rosie' charter was scheduled for 19:00.